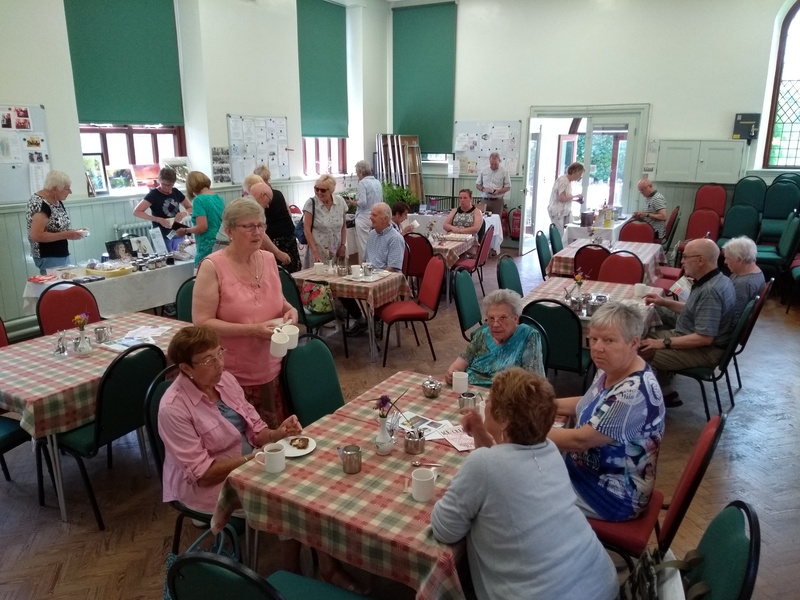 The Church’s Annual Coffee Morning was a huge success. Below are some photos from the morning. 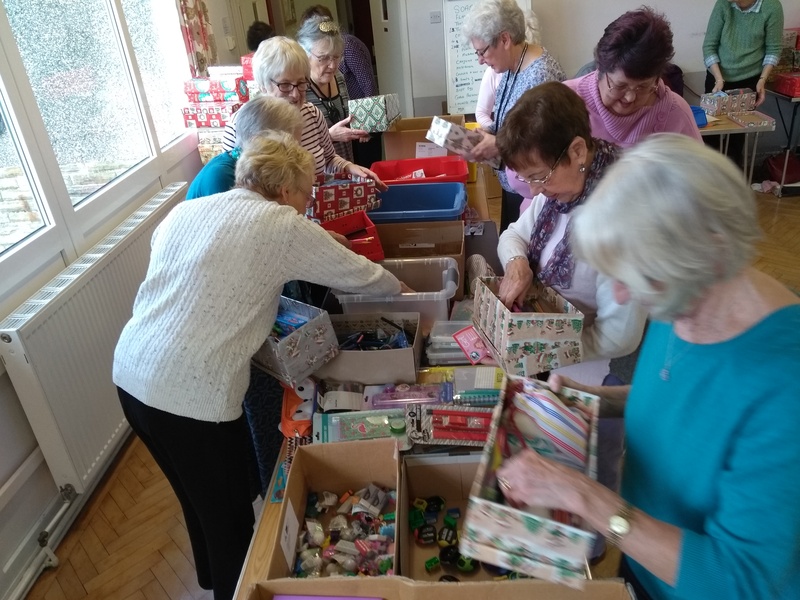 Members and friends of Garstang, Forton and Trinity URC met at Bowerham to pack shoeboxes for Operation Christmas Child. 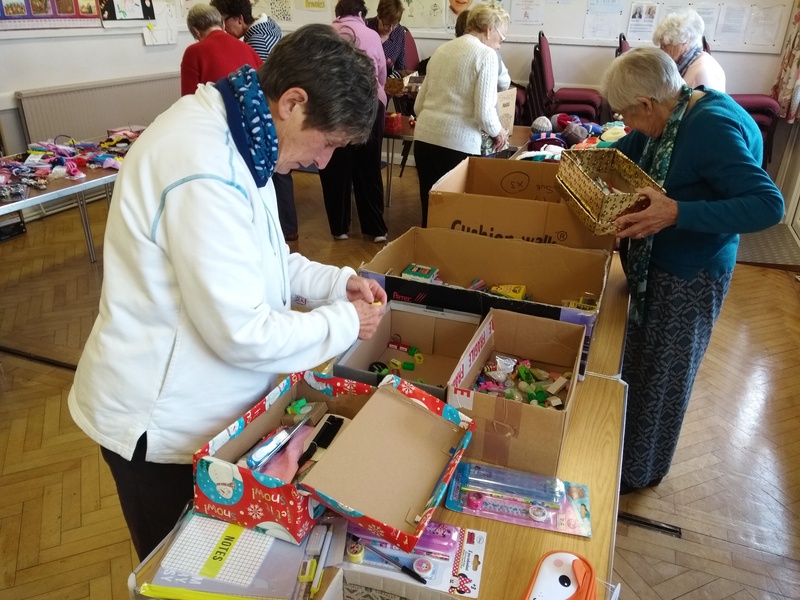 Toys, pens, soap and toothpaste etc had been collected over the past year by members of the churches which culminated in packing the shoeboxes last Saturday. 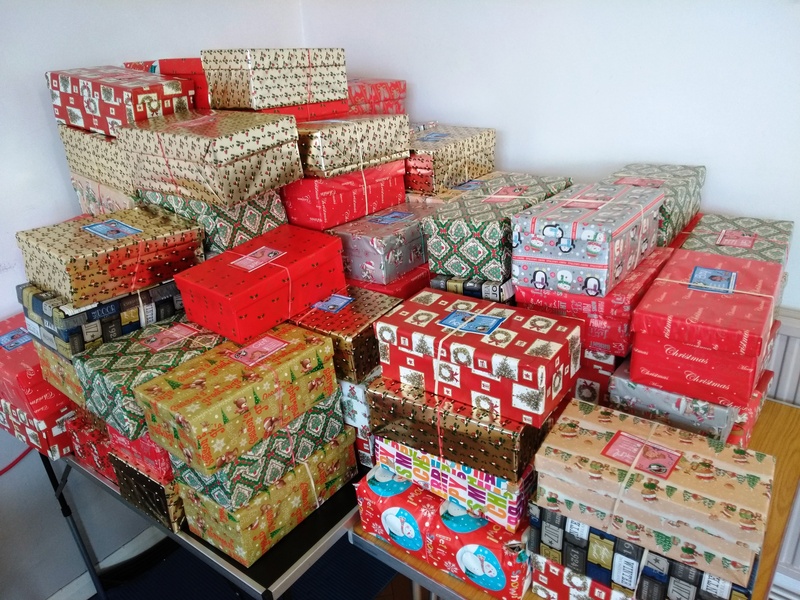 125 boxes were packed! Just a reminder that this month's meeting is an open meeting with a viewing of the classic film The Third Man. All are welcome. David and Hilary Ralphs took a holiday in Malvern recently, close to where Bob Stewart is now living. 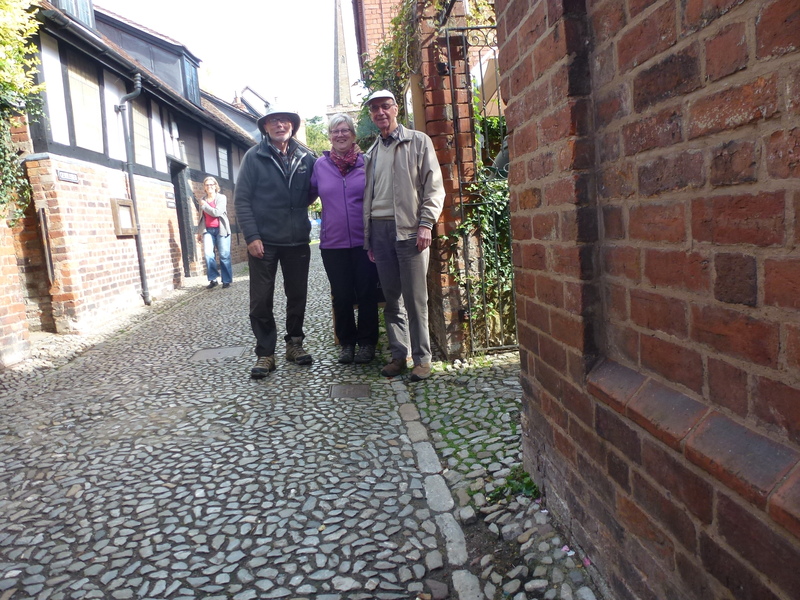 What an opportunity to see him so they arranged to meet at the delightful market town of Ledbury. 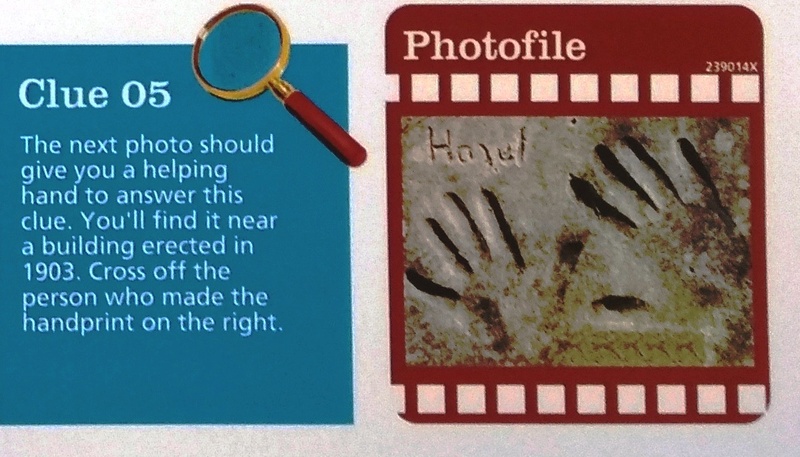 "We started off with coffee followed by a look around and a visit to one of the local museums seen in the photograph." "It was then lunch time and Bob knew just the place to satisfy our taste, a small cafe specialising in real home cooking which did just the trick. A bit more sight seeing followed and then time for afternoon tea. Time was now marching on so after a thoroughly enjoyable day we said our farewells and went on our way. Bob asked us to pass on his best wishes to you all." Welcome to new members who have joined up to receive the latest news. 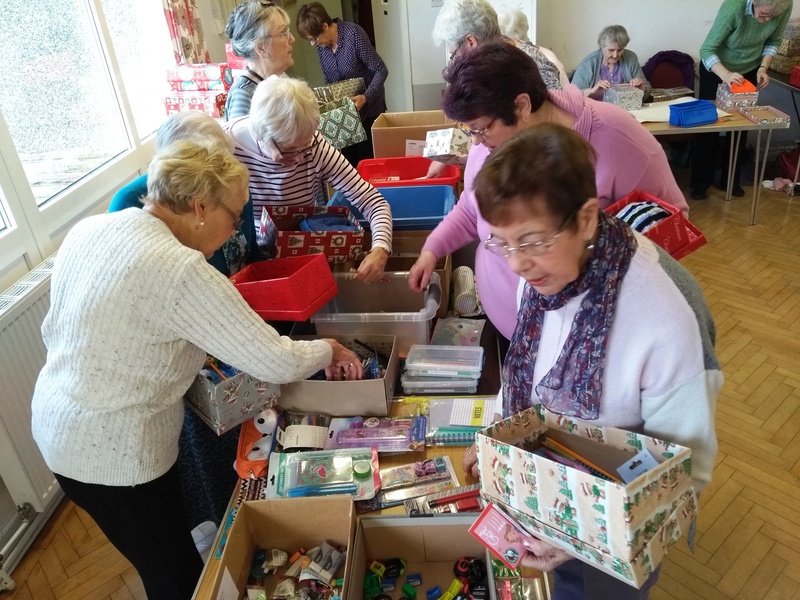 A quick look at some of what’s on in November. 4th Mike Hart (Communion) Communion Collection for Lancaster Homeless. 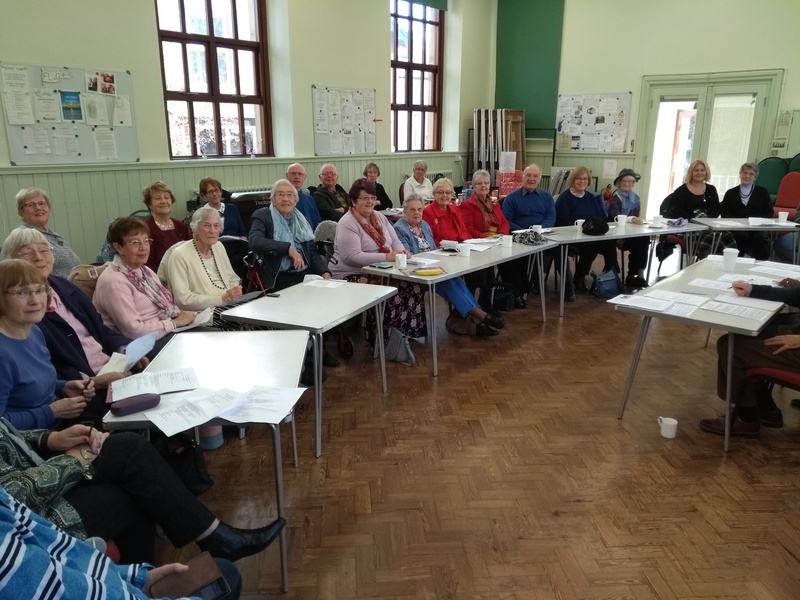 Can you spot yourself at the Church meeting? 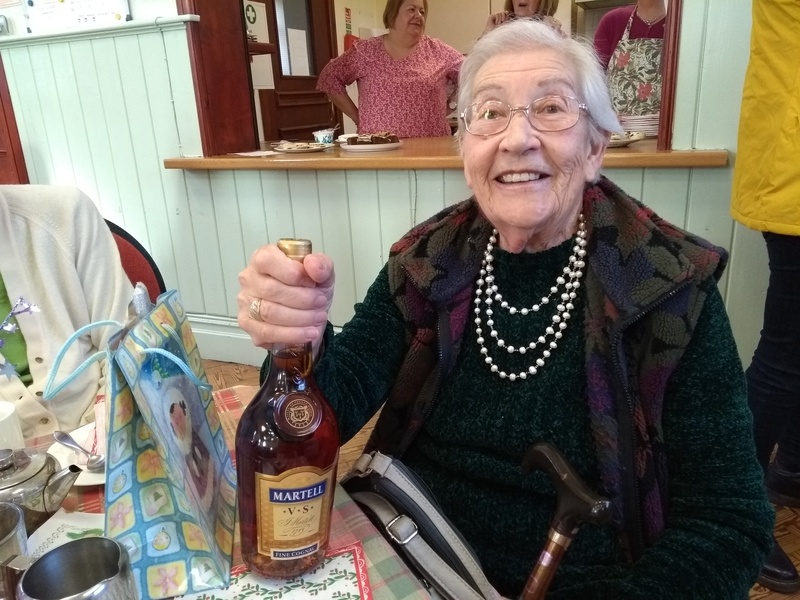 At October's Tea and Chat we were joined by a lovely couple from Todmorden. 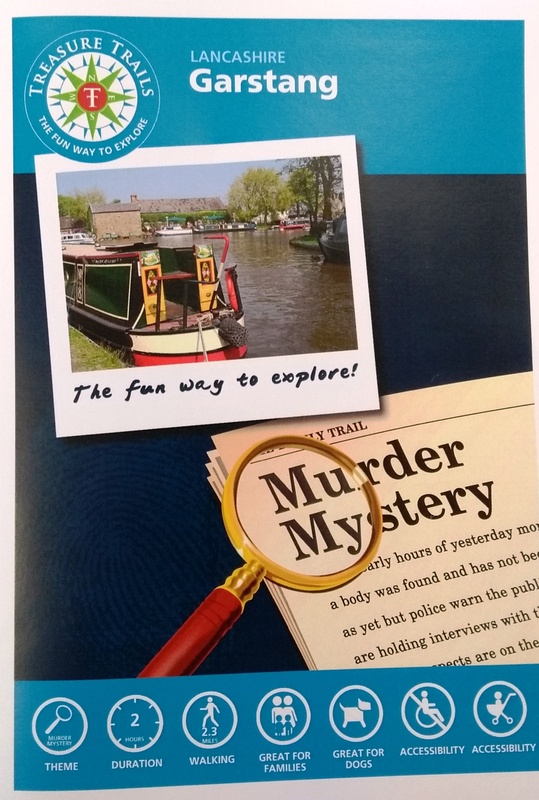 They were exploring Garstang using a Treasure Trail leaflet. They followed clues around the town centre to eliminate suspects of a fictional murder of a market stallholder "Shorty Change". Clue 5 was in the Bible Garden. Your secret is safe Barry! Great company, lots of tea and chat,with cakes disappearing fast! See you next month on Wednesday, 21st November. Welcome to new subscribers to the website news. I promise you I won’t flood your inbox with emails; just one or two updates each month. 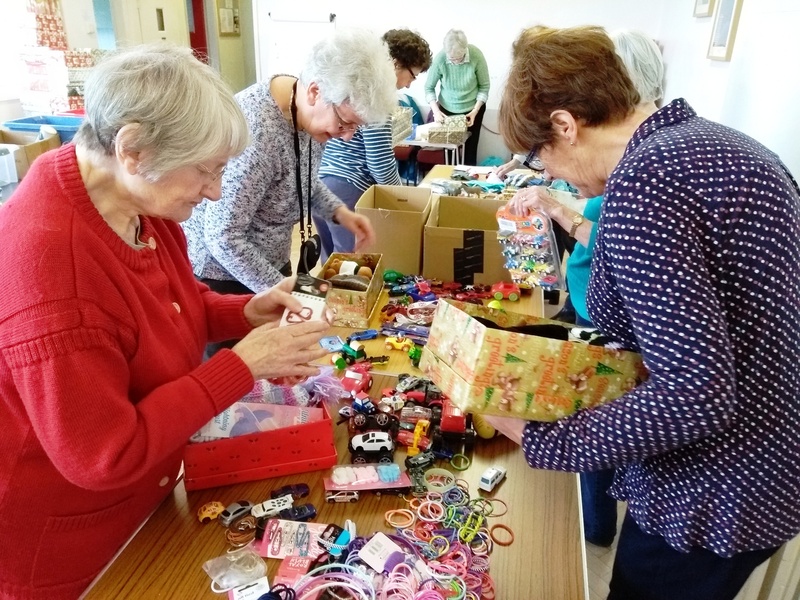 This Thursday’s Charity Coffee Morning is in aid of Dementia Research. Next Sunday’s service will be on Commitment for Life. Details of all the services and meetings for October and November can be found by clicking on the appropriate date on the Events Calendar. 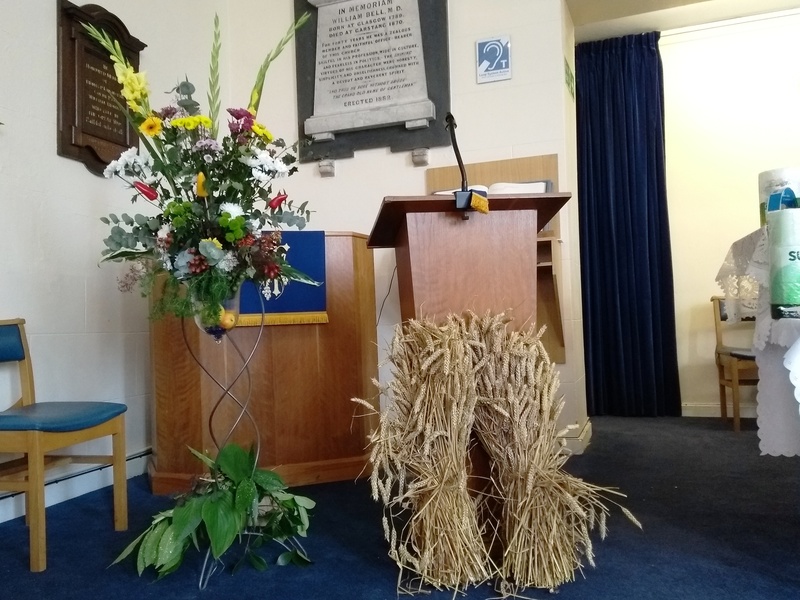 More photos of last Sunday’s harvest service can be found under Photos or by clicking the link here. Again more photos of the Missional Partnership meeting can be found under Photos or by clicking here. Tea and Chat is back after the summer break. 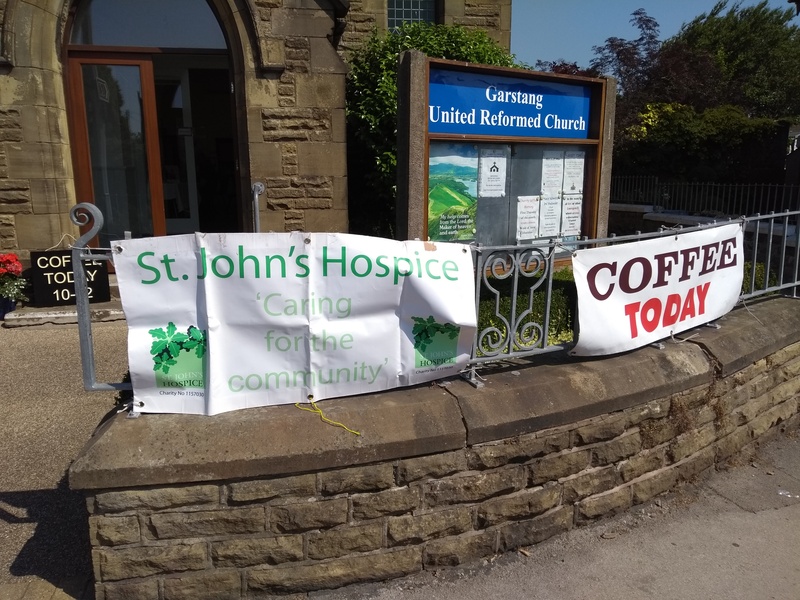 Come and join us to catch up the latest news and enjoy delicious cakes and brownies all washed down with tea or coffee. The meeting is an open meeting so all are welcomed. 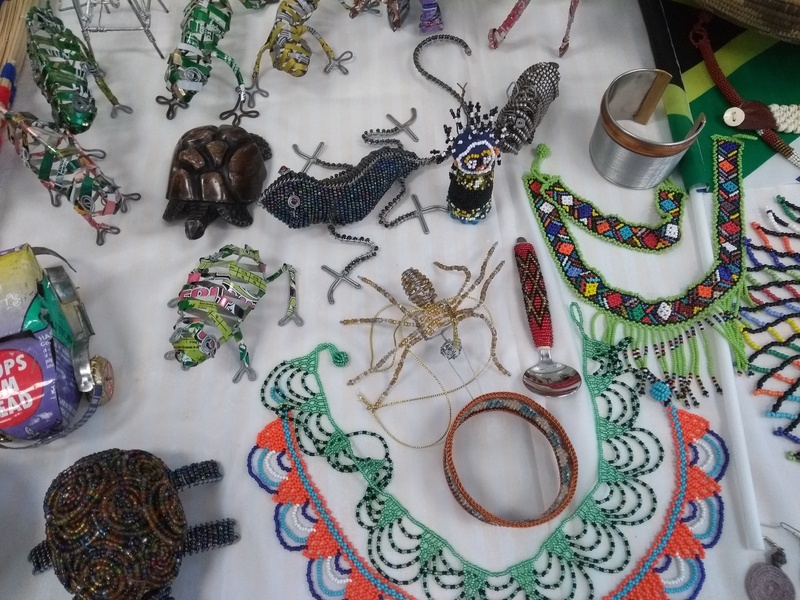 The illustrated talk will be “A Walking Safari in Africa” given by Kate and George Ashton. Should be excellent. 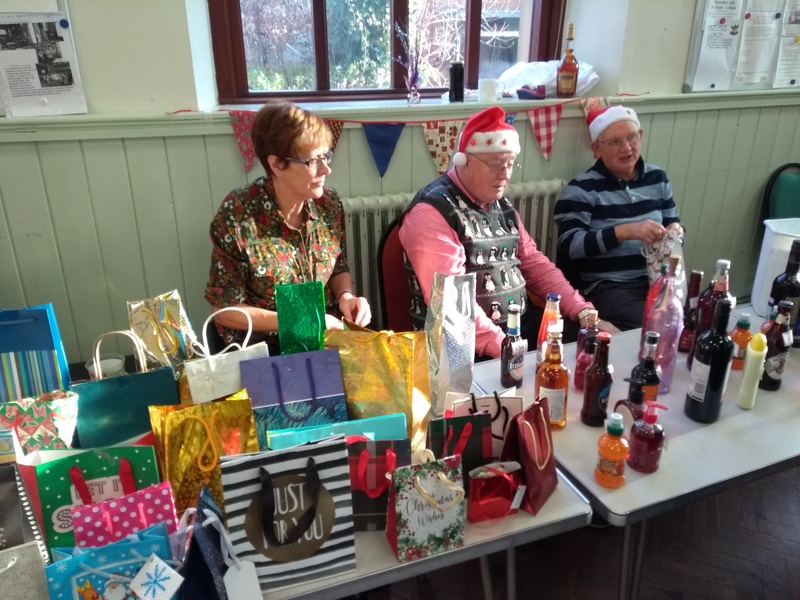 Sugar, coffee, cheese, cooking oil canned meats, toilet rolls, Kitchen rolls, Washing powder, disposable razors, shower gel, shampoo, toothpaste, bath towels, boxer shorts, men’s socks, men’s t-shirts and jeans and paint rollers and brushes! The Women’s Guild will hold their General meeting to discuss their Ecumenical Meeting in October. The service will, be led by Andrea Roberts. 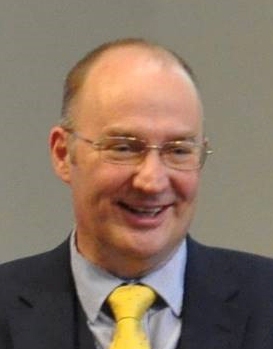 Rev Andrew Mills, Moderator of the North Western Synod of the URC, has accepted a call to return to local church ministry as minister of Christ Church (UM) Lewes, Cross Way (UM) Seaford and Alfriston Mission Project. He and Ruth expect to move there early in 2019. He has been Synod Moderator since September 2015 during which time Andrew has encouraged local congregations to develop their discipleship. As a consequence of his leadership the Synod Meeting adopted a Missional Discipleship strategy dedicated to helping churches focus on this aspect of their calling. 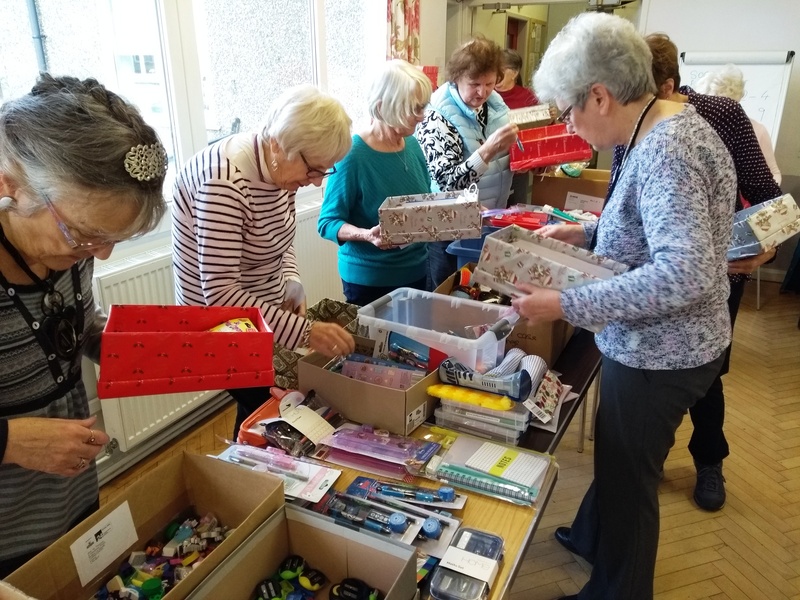 Andrew has also led the Synod to reorganise the way in which stipendiary ministry is deployed, so that ministers’ time and gifts can be focussed in the most fruitful way possible on God’s mission. A full statement can be read by clicking here. Below are some of the services and events coming up this September. Further details and dates of all the events can be found on the website calendar. 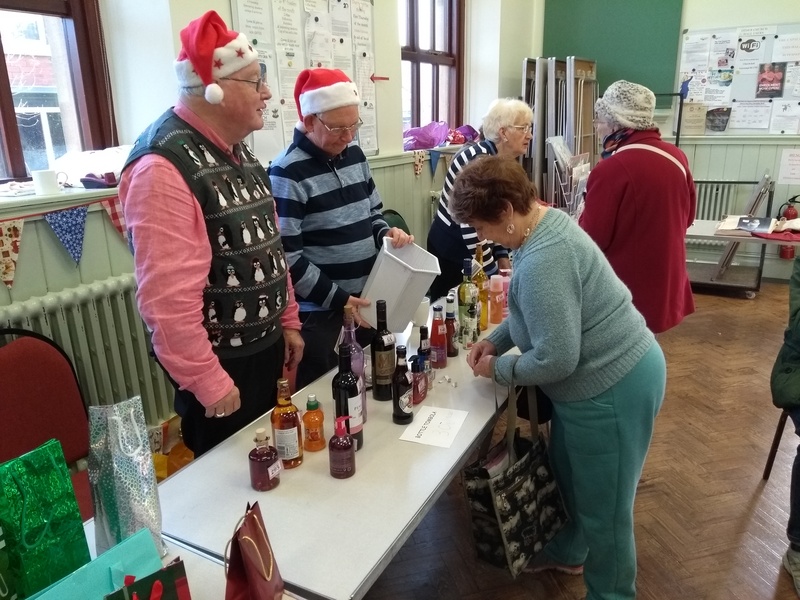 Charity Coffee Morning in aid of Galloway's Society for the Blind. 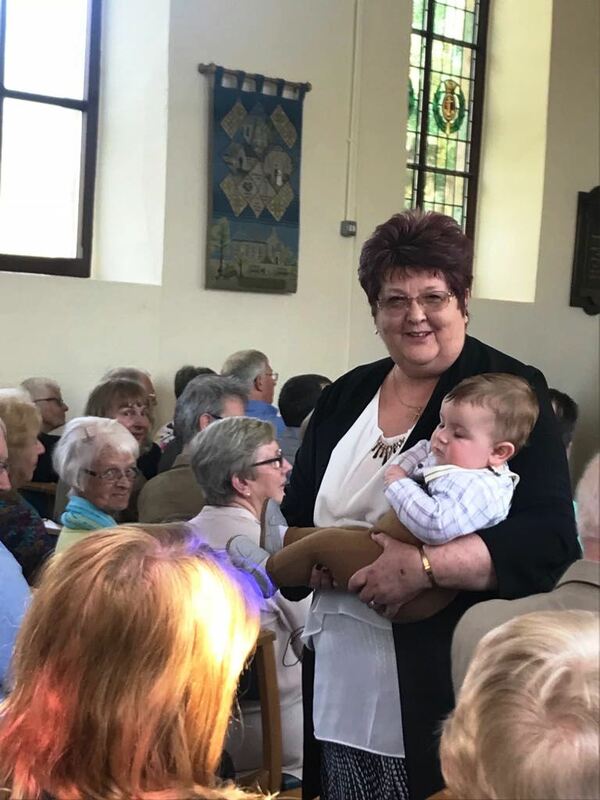 We welcome back our own Minister, Revd. Dr. Irene John, who will take the service and Commumion. The communion collection will be for Comittment for Life. Tea and Chat. 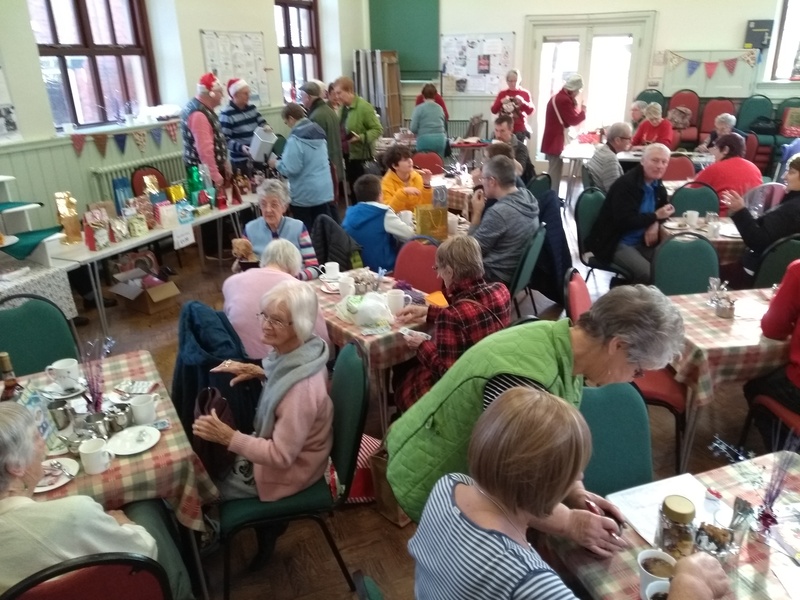 Free tea, cakes and chat from 2.00pm in the Church Hall. 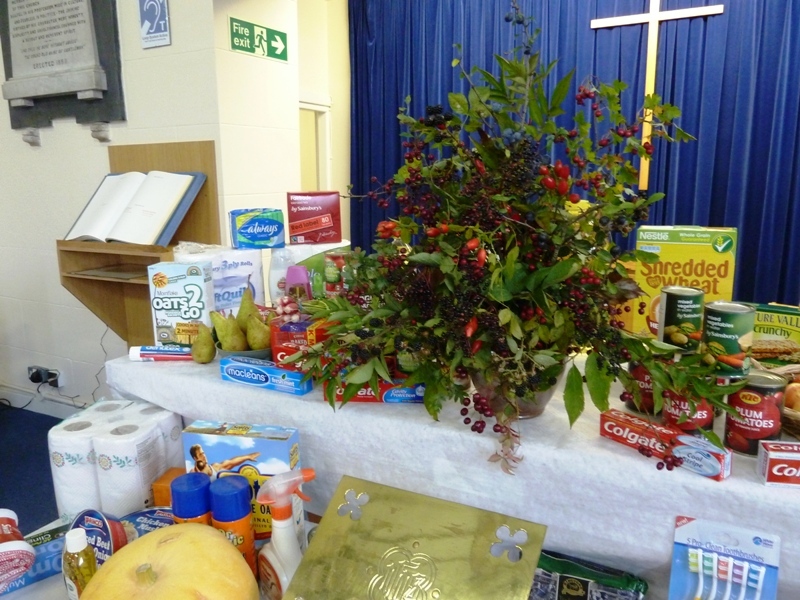 Harvest Service led by Revd. Dr. Irene John. 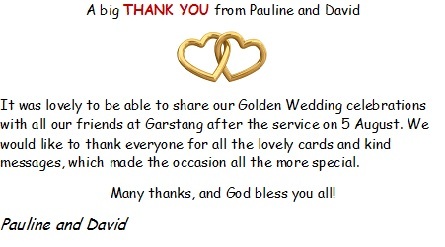 This Sunday, Pauline and David Greenwood celebrated their Golden Wedding Anniversary with church members. David and Pauline cut the cake. Souvenirs of their wedding day. 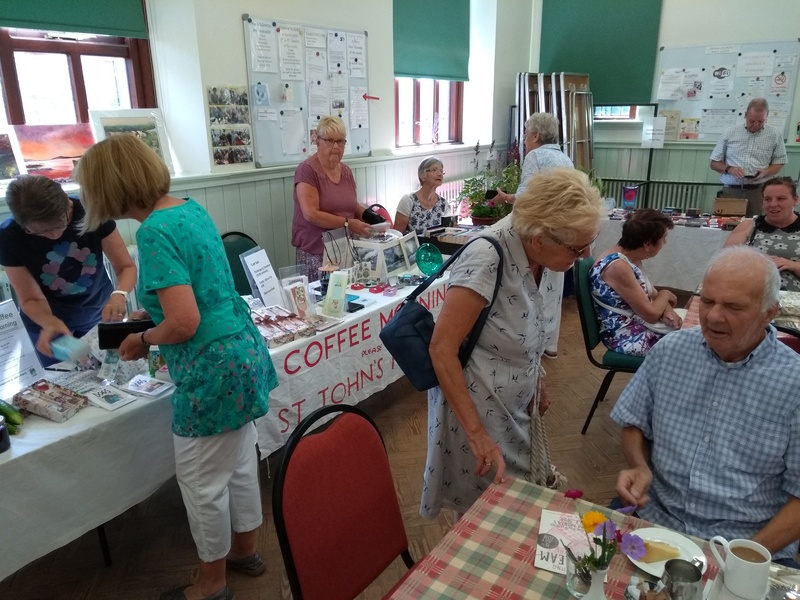 July's Charity Coffee Morning was for St. John's Hospice. 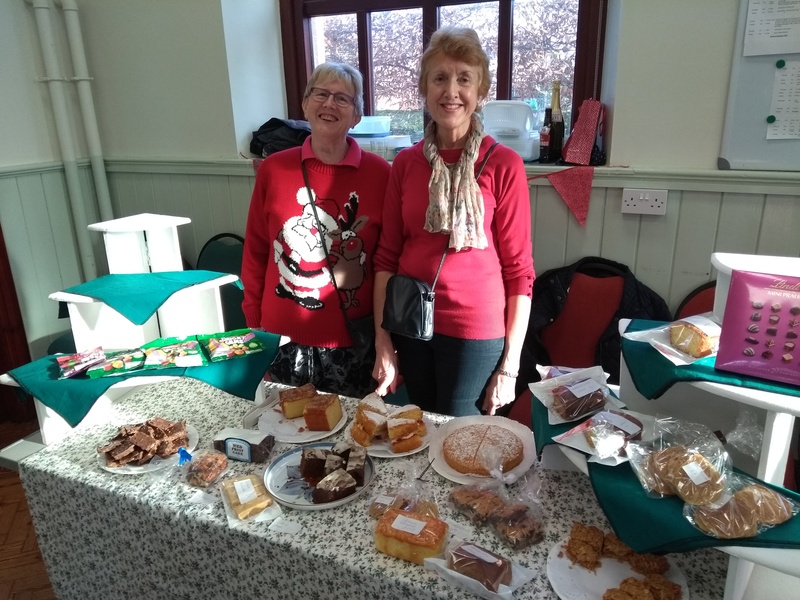 Thanks to Hilary and her Team for serving tea and cakes. 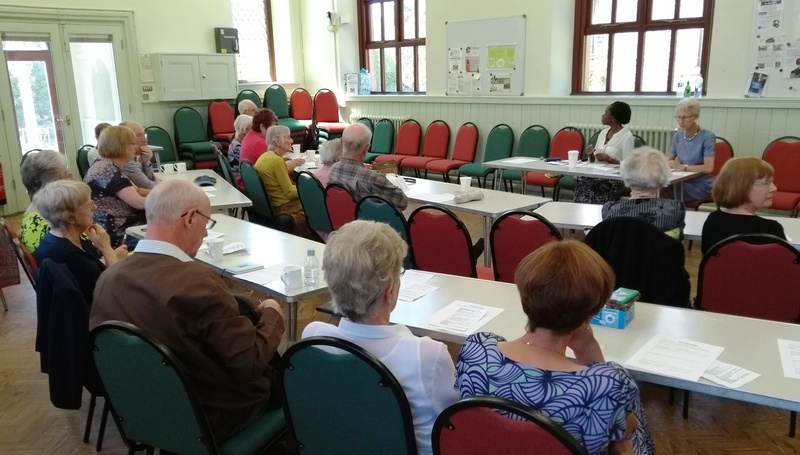 The quarterly Church Meeting was held this Sunday, 24th June 2018. Besides the Management report, the Minister, Revd. Dr irene John gave an update on Missional Discipleship. The future of the May day Breakdast and The May Day walk were discussed and it was annonced that the newsletter would be published bi-monthly from October. The next Joint FLAG Pastorate Service will be on 21st October 2018 at Bowerham Church. John Allen distributed an Eco Challenge survey and demonstrated prctical ways we could help the environment. The full minutes will appear in the next newsletter. 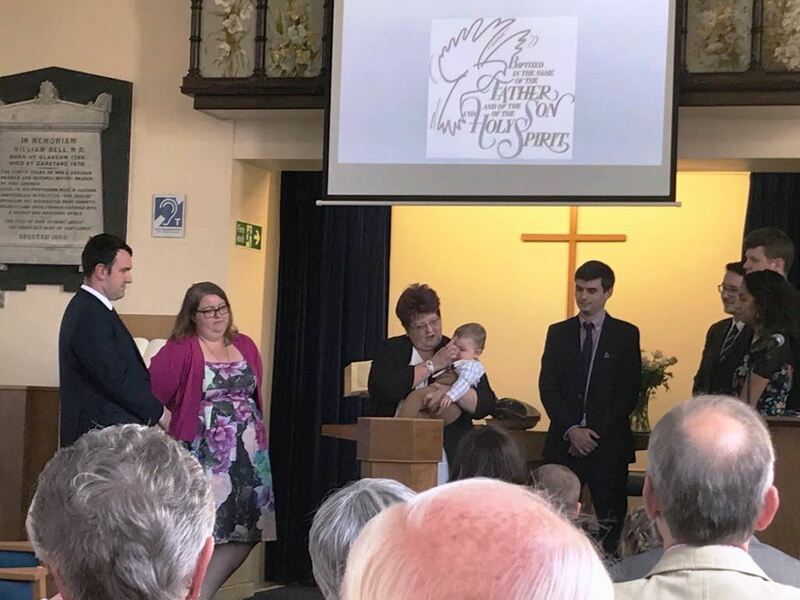 Jacob is baptised, Jacob Antony Ford, by Mrs. Sally Watson, watched on by Paul and Elpie and the Godparents. Jacob is welcomed by the congregation. 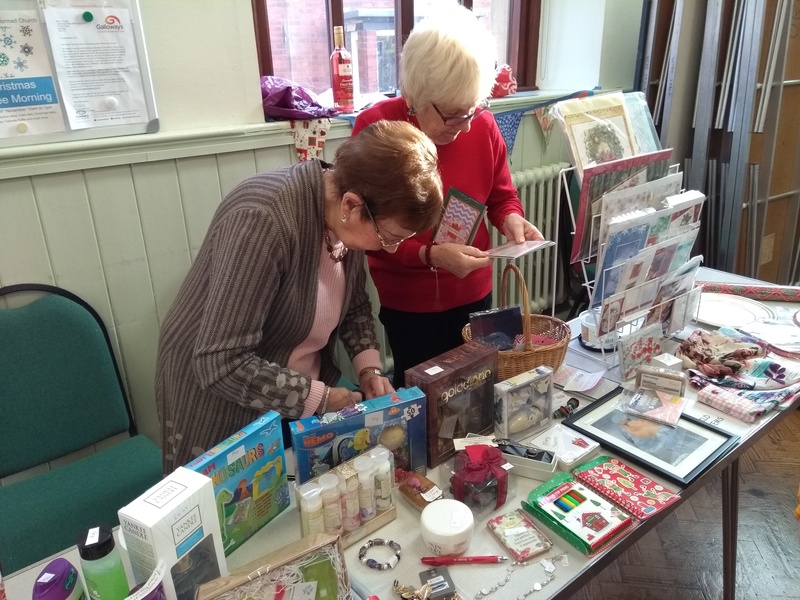 The Church sponsors the education of two girls in the Gambia through a fund raising evening every year. This year's speaker was Brian Walker from Blackpool Rotary who spoke of his visits to South Africa and the work of Rotary providing schools and toilets in remote areas. 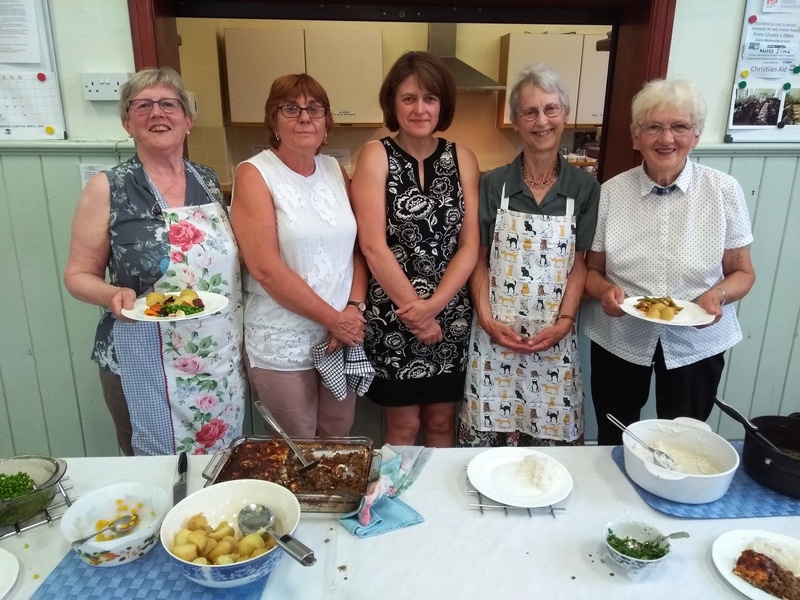 Above are the five volunteers who prepared the evening meal of curry. 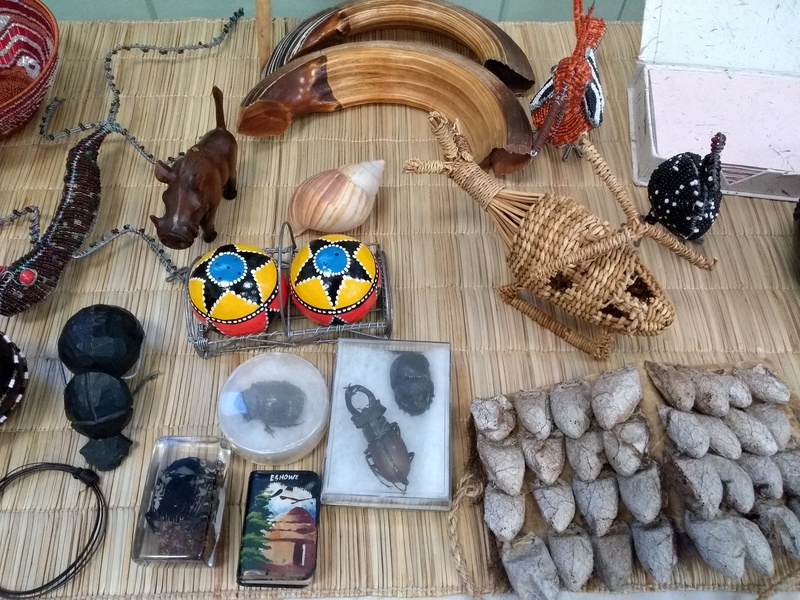 Gifts and souveniers from Brian's trips to South Africa. 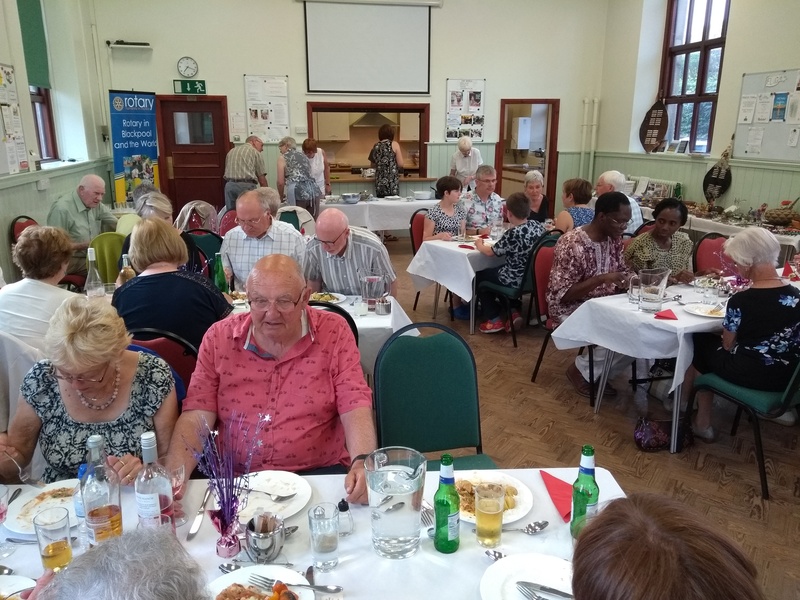 Everyone enjoyed the meal and fellowship together. 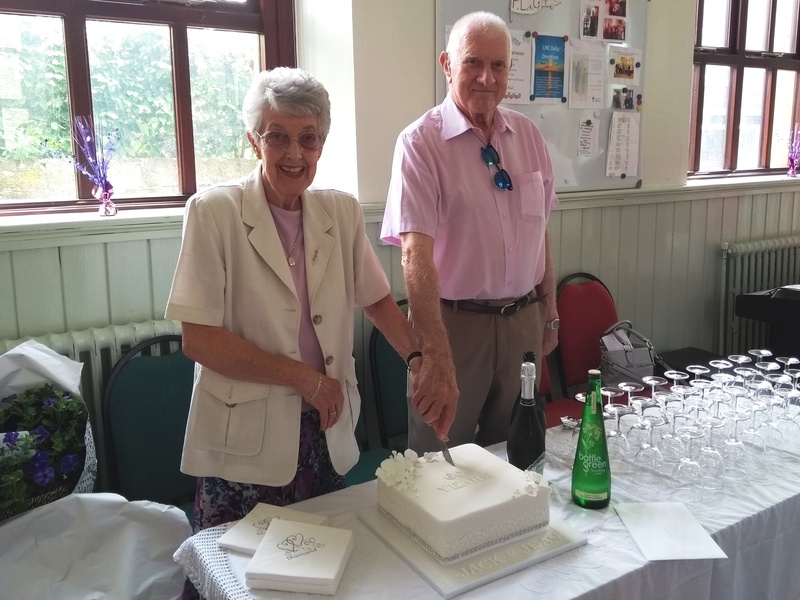 Jack and Jean celebrated ther 60th Wedding Anniversry this week sharing cake and fizz with their Church Family. June presents flowers to Jean on behalf of the Church. Instead of the usual all-weather rambling gear, this year’s walkers were wearing shorts, cut-offs, sunhats and sun cream as they set off from Galgate in glorious sunshine and a temperature of 23 degrees! 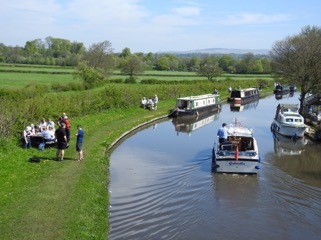 Revd Irene spent her day off with us and walkers came together from churches in Garstang, Forton, Lancaster, Scorton and Barnacre as around 40 of us and one heat-proof dog began the four-mile amble along the canal led by Stella, David and John. The bluebells put on a lovely show, we spotted a family of tiny ducklings and several canal boats passed whose occupants were savouring the pleasure of spring-time cruising without the usual Bank Holiday weather. 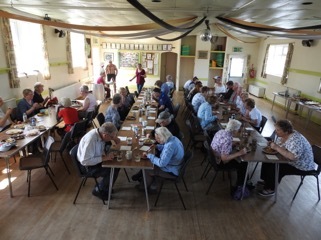 After a break we carried on to Stony Lane Bridge where we left the canal and covered the final stretch on quiet lanes to the Village Hall where Forton URC’s team served a lunch of hotpot and lasagne from The Lunchbox along with very welcome cold and hot drinks. All the while there was a buzz of conversation as we all got to know each other. Our hosts, leaders and helpers were thanked for making the day such a success. 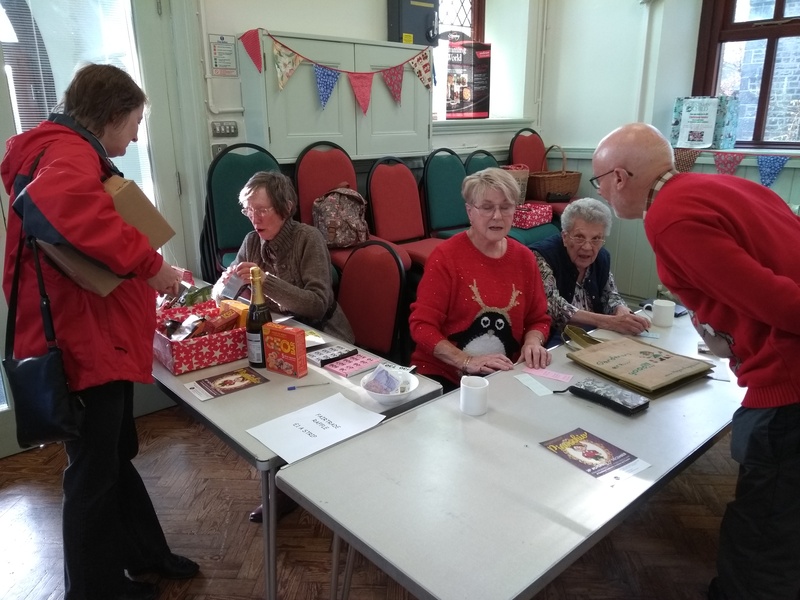 Members of the congregation were asked to write the gifts they offer to the church or the gifts they would like to have on a flame. 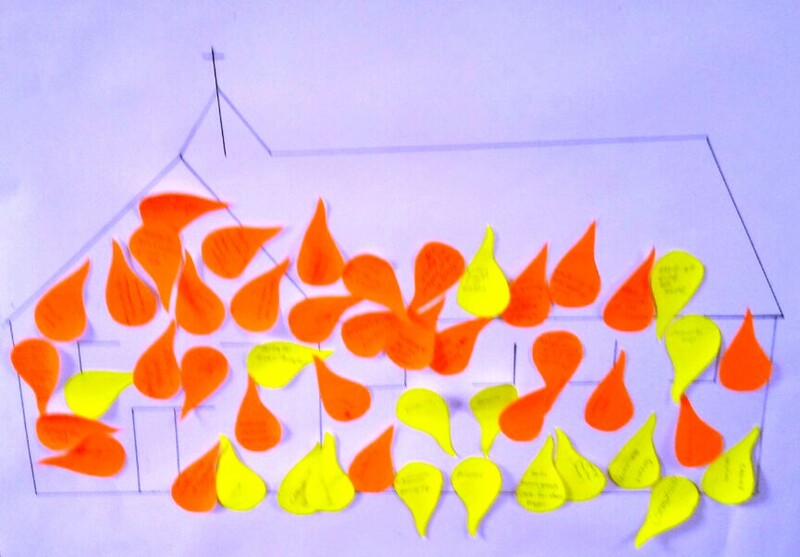 These were then stuck to the outline of a church to demonstrate how using our God given gifts can transform an empty space into something vibrant. 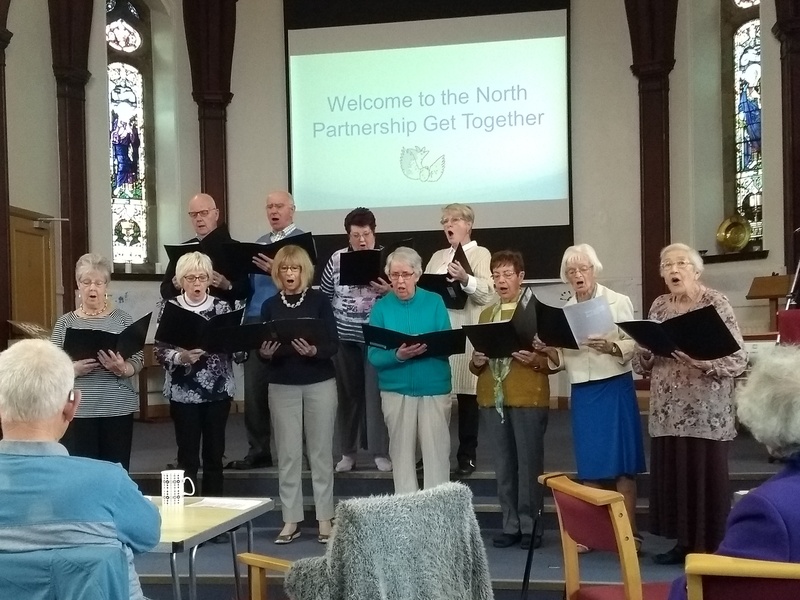 Gladly Solumn Sound held a concert in the Church on 18th May raising funds for Bowland Pennine Mountain Rescue Team. 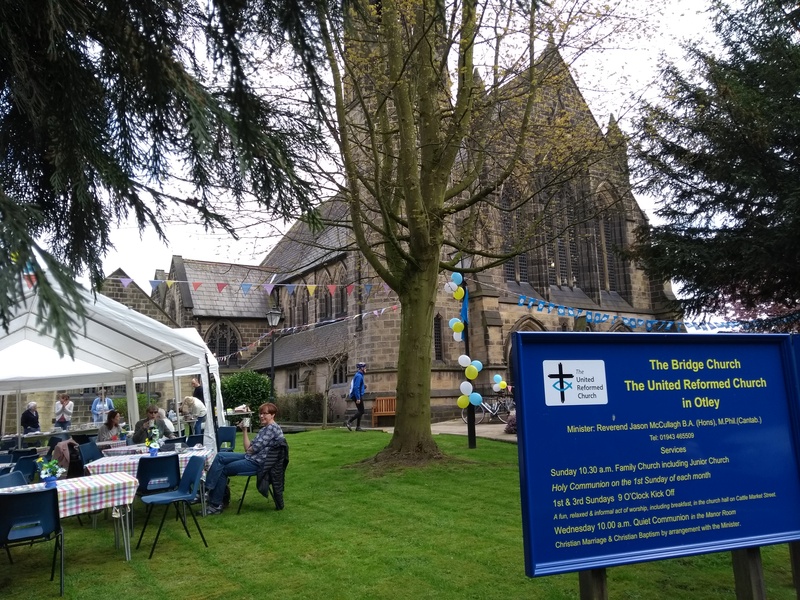 While on holiday watching the Tour de Yorkshire, we called in at Otley URC for tea and cake. Suprise to find that the Minister was Jason McCullough from Morecambe. 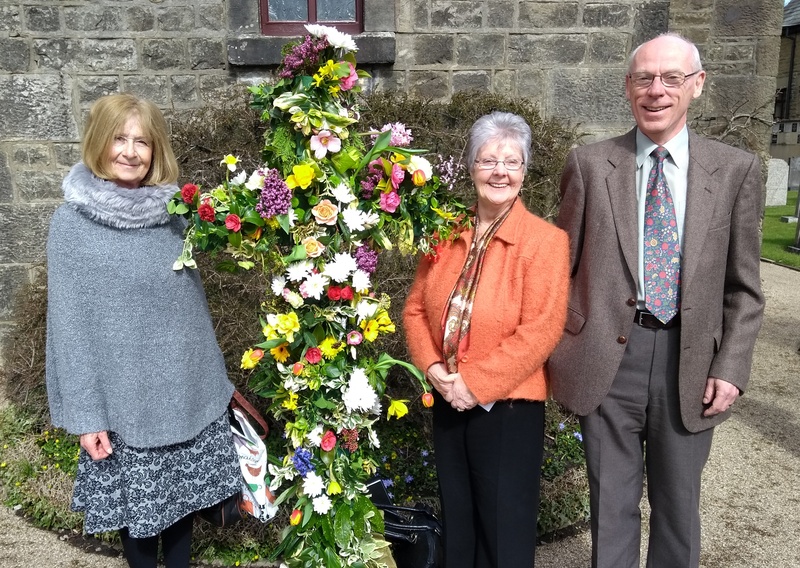 Three new Elders were inducted on Easter Sunday. They are, from left to right, Muriel Barnes, Jean Wadsworth and Gordon Bell. 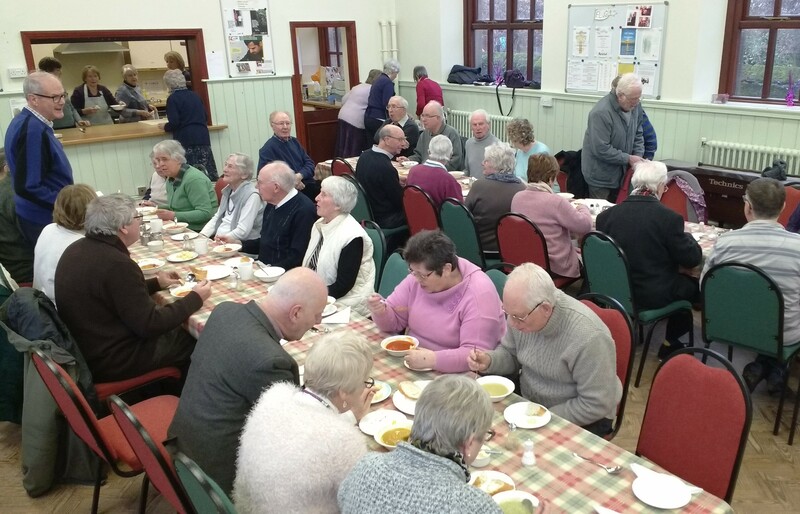 Ecumenical Lent lunches raised over £1000 for Christian Aid. Thanks to all who made soup or helped in any way.